Looking out across the Quoddy Narrows from its perch on a forty-foot cliff, West Quoddy Head Lighthouse anchors the eastern most point in the United States. Established in 1808, while Thomas Jefferson was still president, this is one of Maine’s oldest light stations. 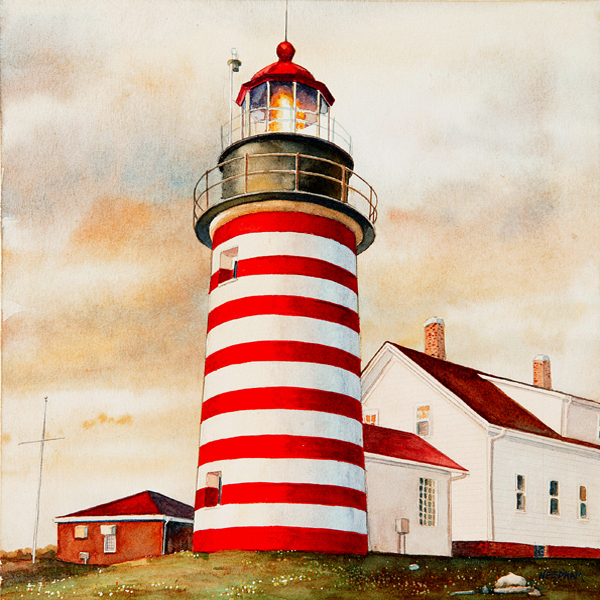 The towers photogenic red and white bands makes it one of the most popular lighthouses along the Maine coastline.